Video – Herd about super? Want to rollover your super or make a contribution? Apply to double their amount of Life Insurance (from 2 units of cover to 4 units) and TPD Insurance (from 1 unit of cover to 2 units). After the 90 day "window" any application for additional Life and TPD cover will be subject to medical assessment. Apply for additional Income Protection Insurance cover (up to 50 units). Where an application is received within the 90 day "window" cover is provided in the event of a claim relating to sickness, irrespective of when the sickness commenced. For applications for additional Income Protection Insurance cover received after the 90 day window, cover will only be provided for a sickness that occurs after the date the application for cover is approved. Complete this form and return it to us within 90 days of the date of your AMIST Super welcome letter. For further instructions, click here. Notice: Please read the Product Disclosure Statement before completing this form. 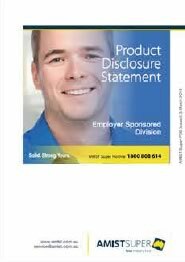 Notice: Please read the Product Disclosure Statement. Notice: Only complete this form if you are a member of the Pension Plan. Please read the Product Disclosure Statement before completing this form.